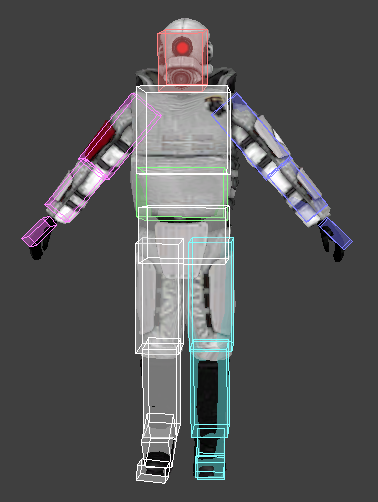 I don't know if Torque 3D supports ragdoll and bones bouding box collisions, but you could go further and check each bones volume box visibility. Torque3D does not support that, but there are resources that do, maybe that motivates someone to integrate the resources so we have ragdolls and bones bounding boxes etc. I would suggest expanding the engine slightly as to allow you to easily get the transformed positions of nodes in the player mesh. I did this to approximate bullet collisions on players' limbs with really good success. In this way you can do ray casts to specific points on the animated skeleton (hand, elbow, knees, etc) to see if they're poking out of cover. I'm several engine iterations out of date now so I doubt my old code would be much use, but I'm sure you could poke around at how mount points are used as a jump start. Honestly, I'd say toss the code up in the resources section. Never hurts to have ideas/examples. I think Steve posted a resource for getting the player node positions and transform, not long ago. Maybe it was in c++ subforum. 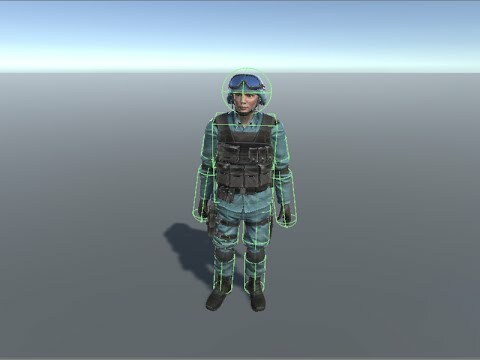 Can Torque 3D do ragdoll ? ragdoll capsule physics could be automatically generated on model import ? This collision capsules can also be used to get better precision when the player use a weapon with projectiles or raycast. It's an old post, i don't know if it is compatible with the new entity system and 4.0 or would this be included in 4.0 ? Why should it not work anymore? If you want you can use it, I just don't know what the official source is with the latest updates, but it will not help with the aiPlayer peek value, it is just ragdolls. However it is part of the GMK kit, which meant game mechanics kit, which adds a lot of game mechanics you need for making a game, like cutscenes, scripted events and some ai features. So before you bother creating any new feature, you should search through all the resources, since in many cases someone already programmed such a feature.